Do you spend your time in the bathroom bemoaning all the old and tired fixtures and décor around you? Are you tired of looking at the drab walls and faded sorry-looking vanity? Are you afraid the only way you can get a new bathroom is a complete gut job or a new house? Fear not, you can give your bathroom a complete overhaul with nothing more than a little ingenuity. And, it won’t break your bank. You won’t believe what a simple change of color can do to brighten up a boring room. A bathroom generally doesn’t need more than a gallon or two of paint. As a result, this fix is really inexpensive and not very time consuming. A great thing about repainting your bathroom is there are many creative ways to go. Take a look at a few style magazines, see what you like and then choose a color palate. Old globe lights are passé. There are so many new and interesting lighting fixtures on the market today. There are an array of shapes and sizes to choose from. Make sure you choose a fixture that provides a sufficient amount of light in your bathroom. A trip to the local hardware store will show you all the possibilities you have. Many bathrooms come equipped with boring plate-glass mirrors. Don’t you think that type of mirror is just begging to be framed? Adding a simple frame will add tons of personality to a boring necessity in the bathroom. 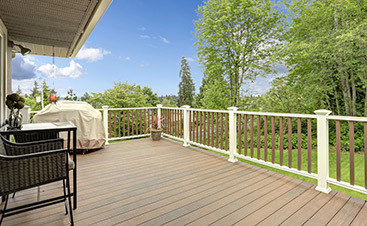 If you are adept at DIY projects, the process is fairly simple. This decorating website shows you how to do it.If DIY projects aren’t your style, pre-made frames are rather inexpensive and can be found in your local “big box” store. The bathroom is probably the most highly trafficked room in your house. The floor tends to get worn and dingy. 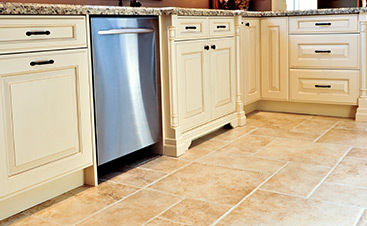 If you have tile flooring, mold or dirt might gather in the areas between the tiles. Update your flooring to give your bathroom a fresh, new look. 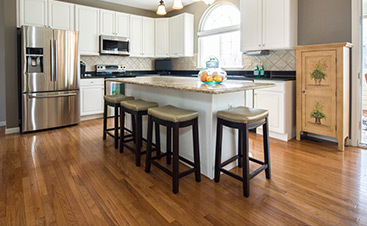 Consider timeless wood flooring or the ease of laminate floors based on your budget and personal preferences. 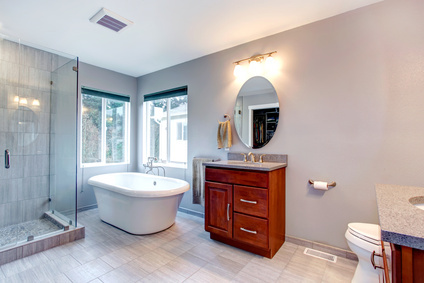 Perhaps the easiest and mist inexpensive way to modernize your bathroom is to make small changes. For example, change the handles and knobs on the vanity. Get an updated faucet or purchase some new towels and bathmats. Refinish wood flooring to look like new. Any or all of these changes an breathe new life into your bathroom. The next time you’re trying to think of what you can do to liven up your tired old bathroom, try one of these ideas. You’ll be happy you did.